FREE TEAM WEBSITES which are activated before Oct. 31st. Fill out the applicaton form and submit. No payment is required! Notice: This site uses banners and pop-ups for regional web links and event reminders. If you are using a firewall which prevents banners and pop-ups, you should disable them for full site capabilities. This site supports AYSO Region 34 youth soccer teams in the areas of management, tracking, scheduling and organizing of all team activities. In addition, it provides a media for players, parents, family and friends to enjoy the editorial and pictorial events of the season. Spring Season starting soon...register now! Question: "The father of a player on my team keeps screaming instructions at his son during games. Most of them don't even make sense. What should I do?" 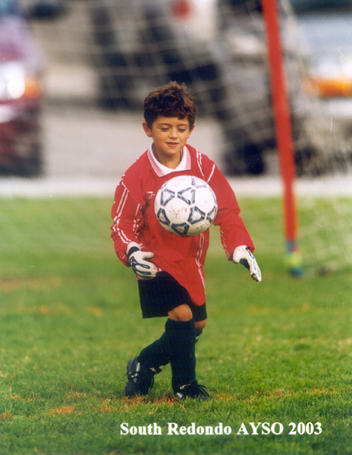 Answer: Children need to make their own decisions during a game in order to truly master soccer's challenges. Screaming at them while they're playing hurts their ability to focus and learn how to read the game. One of the biggest complaints of high-level coaches is that players lack creativity and decision-making acumen because they were sideline-coached in their early years. If the "problem dad" keeps yelling at the next game, then it's time to talk to him one-on-one. Tell him you are all ears to his opinions on his son's play, but the sideline screaming must stop. Point out that young children don't learn much about playing soccer from instructions, especially when the instructions are shouted. They learn by playing. They'll play more if they enjoy it. And they're more likely to enjoy it if adults aren't screaming at them. Another option is to send out an e-mail to the parents or parent meeting, mention the perils of sideline-coaching. You don't need to single out the dad; just remind the parents that they shouldn't coach from the sidelines because the kids need to explore the game on their own terms. Explain that you, the coach, will give tips one-on-one to your players when you think it's helpful. If you already have a team click on "Teams" from the menu on the left. AYSO Area 34 sent 5 Teams to participate in the Holiday Invitational Tournament in Fountain Valley on Jan. 2nd & 3rd. All 5 teams placed in the tournament. Question: "I have several parents who scream at the kids during our games. How can I convince them to pipe down and stop yelling instructions?" Answer: Parents who yell at their children while they're playing soccer are intruding on their kids' playtime. 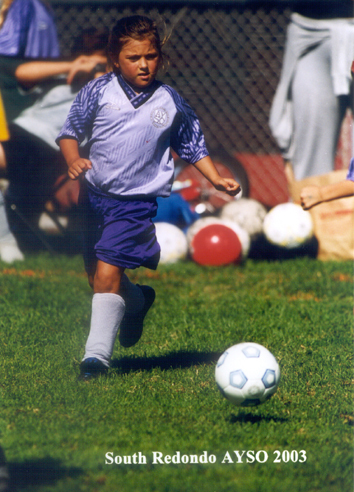 Screaming does not help them become better players and it certainly decreases the chance that they'll enjoy soccer. So you must address the subject, perhaps in a team-wide e-mail. But what I really like is a face-to-face meeting with the parents; you can even do it right before your next game. Explain that cheering (in a positive manner) is OK, but any screaming they do - or calling them by name - will take the players' focus off the game. Besides, you are the coach and you will coach the team as needed. Adults wouldn't want to be screamed at while performing a difficult task, so why would children be any different? These screamers may think they're helping or inspiring their kids. But soccer is a sport that requires split-second decision-making while performing difficult skills and reading the game. Players learn to meet these challenges when they are young, by trial and error. Sideline instructions rob them of a process they need to go through at that stage of their development. Besides trying to explain to the parents why their screaming is inappropriate and counter-productive, you as coach can send a message by being a good example. Do your coaching - at an age-appropriate level - at practice, before the game or at halftime, but sit quietly in your chair during the game. There is the possibility that these parents aren't even aware of what they're doing - because watching sports seems to bring the screamer out in even otherwise well-mannered people. So consider assigning a parent to be a sideline monitor. If the monitor goes up to the screamer and says, "Hey, Joe, remember Coach doesn't want us yelling at the kids" - it just might do the trick. How to choose a quality multivitamin...there not all the same!